If you have lost a loved one in a road traffic accident or you yourself have been injured in a road traffic accident which is not your fault, you will no doubt understand the importance of justice. You will want to ensure that the appropriate action is taken against the driver who is responsible for the accident and that lessons have been learned and justice has been obtained. 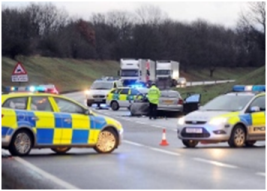 As a personal injury solicitor who specialises in claims arising from road traffic accidents, I know that this can often be a priority for my clients, and understandably so. Claiming compensation for the injury and losses caused as a result of the accident through what is known as a civil claim. In my line of work I experience firsthand the hurdles which my clients face in fighting for justice. It is important to understand the differences between bringing a criminal and a civil case, to fully appreciate why one option may be more difficult to pursue than the other. 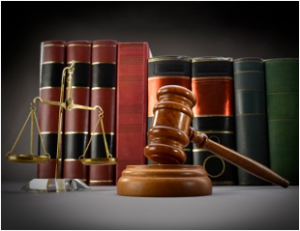 Criminal and civil cases have different purposes and understanding their purpose is important to understanding how and why they differ. The purpose of criminal proceedings is to punish somebody who has committed a crime. In relation to a road traffic accident, the police will investigate whether the driver has committed an offence, and if so they may be punished by way of a fixed penalty notice, penalty points, disqualification or a prison sentence. In contrast, the purpose of a civil case is to compensate a victim for an injury and financial losses they have sustained as a result of an accident which is not their fault. Essentially, one option is to punish and the other is to compensate. 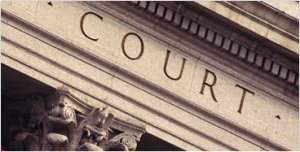 In relation to a criminal prosecution, it is important to note that it is not the victim who decides whether to bring a prosecution but is a decision that is made by the police and the Crown Prosecution Service (CPS). This means that in a criminal case, even when the victim wants a driver to be prosecuted, the police and CPS may decide not to pursue criminal charges. This understandably can be very upsetting and frustrating for the victim and their family. This can be contrasted with a civil claim, where it is the victim’s decision as to whether they wish to bring a claim for compensation. However, it is important to note that the level of evidence required in civil and criminal cases differ, which means that it can be easier for a civil claim to be successful than a criminal case. The level of evidence required in criminal cases is much higher than in civil cases. Essentially the CPS has to prove that in all the circumstances of the case, no other logical scenario could possibly have happened. This in legal terms is known as ‘beyond reasonable doubt’. This means that if there is not enough evidence to prove the driver’s guilt to this high standard, the CPS will not proceed with a prosecution. However, in civil cases the court will look at whether it is more likely than not that the driver was at fault for the accident. This is easier to prove and in legal terms is known as ‘the balance of probabilities’. Also, in a criminal case the driver will be charged with a specific criminal offence and there are certain criteria that need to be fulfilled in order to charge that person with that offence (e.g. driving without due care and attention, or dangerous driving). However, in a civil case there are no specific offences, but the victim will have to prove that the driver was at fault for the accident. Can I claim compensation following a road traffic accident without a criminal prosecution? As stated above, it is the decision of the police and the CPS as to whether a driver is charged with a criminal offence, so it is often out of your hands as to whether justice in the form of punishment can be obtained. However, if charges are made against the driver, there is no reason why both options cannot be pursued. But even if a criminal case is not available to you, it may still be possible for you to have a civil case to claim compensation for your injuries and financial losses if the accident was not your fault, because of the different levels of evidence that are required. This is something that I often reassure my clients with in respect of their civil claims, as they can often mistakenly believe that they can’t pursue a civil claim because there was not enough evidence for a criminal case. To conclude, if the police and the CPS decide not to pursue a prosecution against a driver that was to blame for your accident, then pursuing a successful civil claim is another way of making sure that the driver is held responsible for their actions. I am a Solicitor at Bolt Burdon Kemp and have experience acting for victims of road traffic accidents. If you or a loved one has suffered a serious injury in a road traffic accident as a result of someone else’s negligence, contact me free of charge and in confidence on 020 7288 4855 or at yolandalaw@boltburdonkemp.co.uk for specialist legal advice. Alternatively, you can complete this form and one of the solicitors in the Personal Injury team will contact you. You can find out more about the team here.